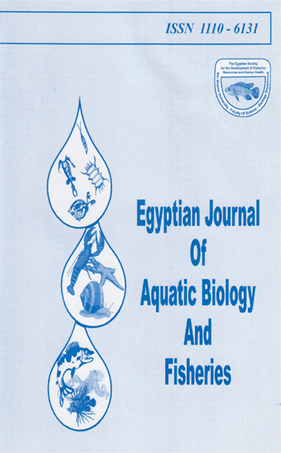 Two experiments were earned out to atudy the effect of salinity and salinity acclimatization on survival and growth of mullet larvae in glass aquaria. In the first experiment, a 6x3 complete randomized blocks design was utilized with six water wlinities (0, 5,10, 15, 20and 35ppt) in three replicates to define the effect of salinity on survival of striped mullet (Mugil cephalus) wild larvae collected from El-Max larval collection center at Alexandria Egypt. In the second experiment, a 5x3 complete randomized blocks design was utilized with five starting points of salinity reduction acclimatization. Starting acclimatization using (3,6, 9, 12 and 15 ppt salinities) at three replicates was initiated to study the effect of acclimatization from different points en survival and growth of wild grey mullet (Liza ramada) (Risso) larvae. Reducing sdinity 1 ppt daily using the appropriate amount of freshly stoked tap water did the descending salinity acclimatization for each starting point. Two test diets (40% crude protein) formulated from commercial ingredients, were used.